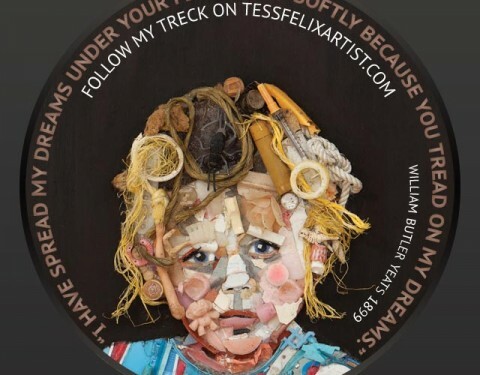 created by Tess Felix with beach plastic debris collected by her coastal home. Copyright by Tess Felix 2013-2019. All rights reserved for any images and writings. No use is granted without the artists prior permission and approval.